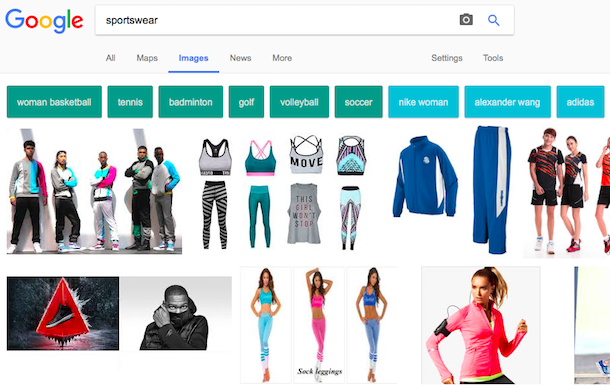 For example, when searching for [sportswear], Google shows suggestions like: [women basketball], [tennis], [badminton], [golf], [volleyball], [nike woman], [alexander wang], [adidas], [fashion], [performance], [vintage], [trendy], [urban], [school], [gym], [90's], [70's], [vogue], [luxe], [avant garde], [korean], [italian], [french] and more. 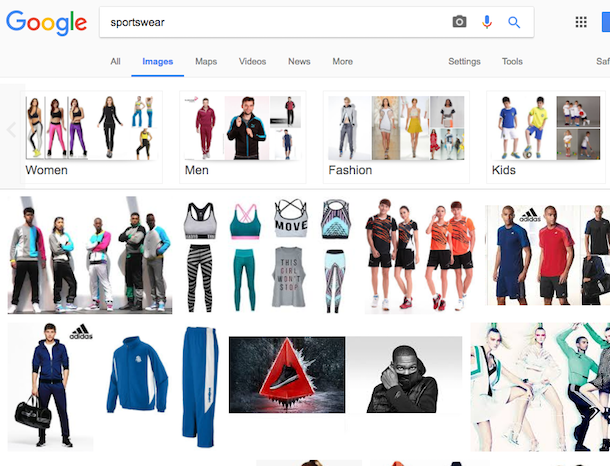 It's interesting to notice that each category of suggestions has a different color. 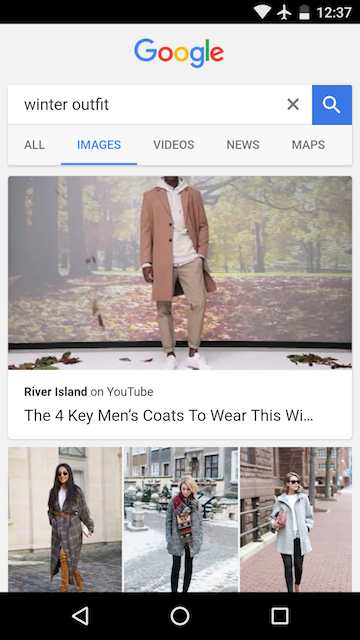 Google Image Search's mobile interface tests a new feature that starts playing snippets from a YouTube video at the top of the search results page. It's not disclosed as an ad, there's no sound and you can't stop or hide the video, which continues to play on repeat. 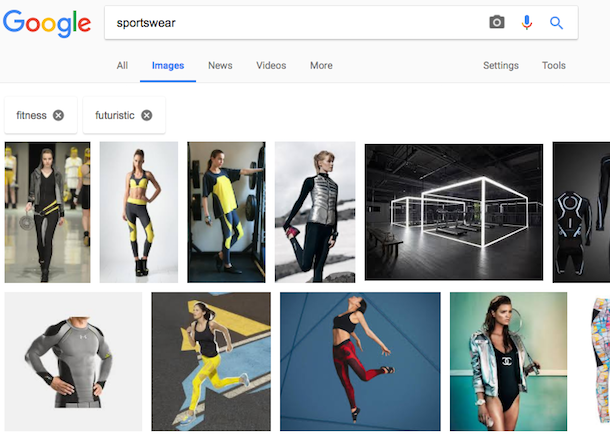 Right now, the experiment seems to be limited to fashion-related queries like [men jackets], [lookbook], [winter outfit], which match videos from YouTube channels like New Look and River Island. "New Look is a South African-owned British global fashion retailer with a chain of high street shops. 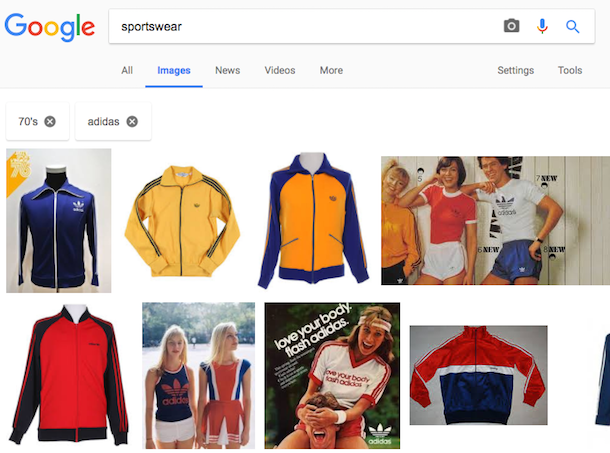 (...) The chain sells womenswear, menswear, and clothing for teens," according to Wikipedia. 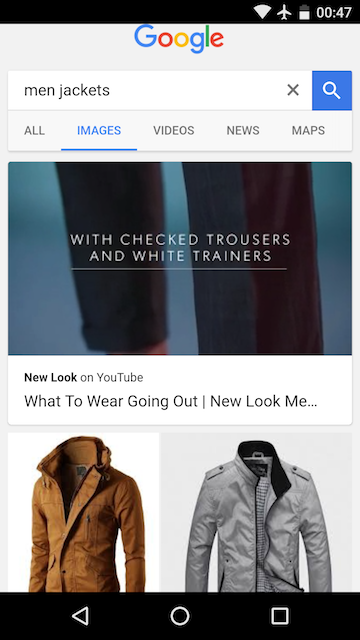 Google only shows labels like: "New Look on YouTube", even though this looks like an experimental ad format. 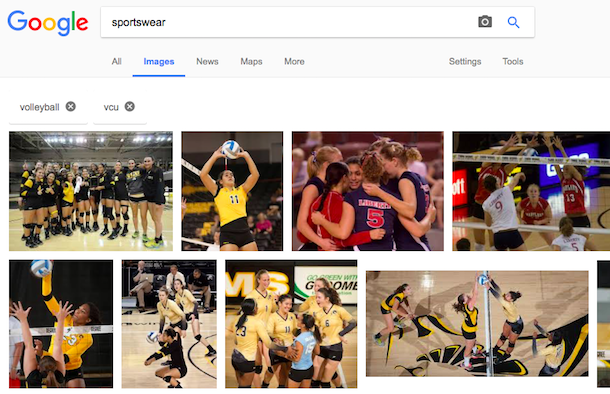 I hope it will never become a regular feature, as it's pretty annoying and it wastes Internet bandwidth. 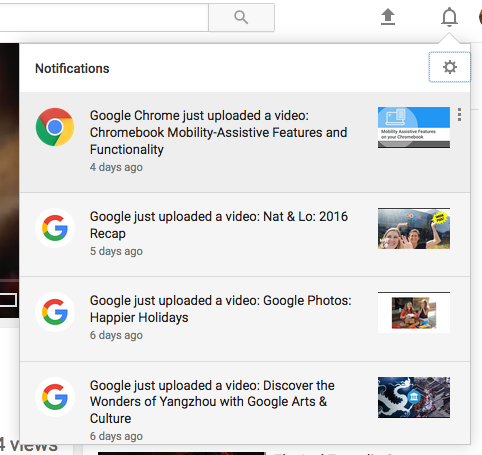 It looks like YouTube's notification experiment is now a regular feature and you can no longer disable it by clearing cookies. 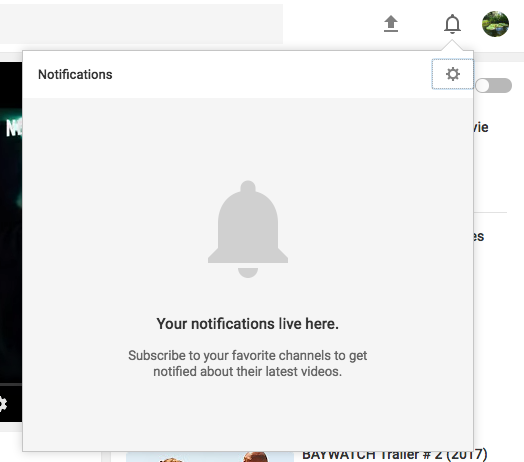 When sign in to your Google account, YouTube's desktop site no longer shows Google+ notifications in the navigation bar: it replaces them with YouTube notifications. "Your notifications live here. Subscribe to your favorite channels to get notified about their latest videos," informs the new notification box.